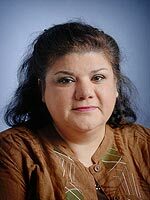 Dr. Gutierrez obtained a BA degree in Psychology from UCLA, a PhD in Public Health from Johns Hopkins, and a cancer prevention fellowship at the National Cancer Institute. Her professional niche is in social epidemiology and health services research addressing chronic disease prevention and control in vulnerable populations. She has served as investigator in several collaborative landmark studies funded by NIH including the Jackson Heart Study, Deep South Network for Cancer Control, Southern Community Cohort Study, and currently a randomized community intervention study to improve self-care among African Americans with type 2 diabetes. Her commitment as a researcher is to build community and institutional research capacity by mentoring high school to doctoral level, as well as grassroots leaders in these communities. Zambrana, R. E., Breen, N., Fox, S. A., Gutierrez, M. (1999). Use of cancer screening practices by Hispanic women: Analysis by subgroup. Preventive Medicine. Shankar, S., Gutierrez-Mohamed, ., Alberg, A. J. (2000). Cigarette Smoking among immigrant Salvadoreans in Washington, D.C.: Behaviors, Attitudes, and Beliefs. Addictive Behaviors. Payne TJ, Wyatt SB, Mosley TH, Dubbert PM, Gutierrez-Mohamed M, Calvin RL, Taylor HA, Williams DR., ., Gutierrez, M. (2005). Sociocultural methods in the Jackson Heart Study: Conceptual and descriptive overview. Ethnicity & Disease. Shahbazi M, Penman A, Yousef MM,., ., Gutierrez, M. (2008). Stroke awareness in two rural counties in Mississippi, USA. Shiraz E-Medical Journal. Sims, M., Wyatt, S. B., Gutierrez, M., Taylor, H. A., Williams, D. R. (2009). Development and psychometric testing of a multi-dimensional instrument of perceived discrimination among African Americans in the Jackson Heart Study. Ethnicity & Disease. Jackson, B. M., Gutierrez, M., Relyea, G. E., Carlton, E. L., Ahn, S., Binklley, B. L., Bailey, J. E. (2017). Unmet primary care needs in diabetic patients with multimorbidity in a medically underserved area. Health Services Research and Managerial Epidemiology. Salam, A., Segal, D. M., Abu-Helalah, M. A., Gutierrez, M., Joosub, I., Ahmed, W., Bibi, R., Clarke, E., Al Qarni, A. A. (2018). Impact of Work-Related Stress on Health Care Professional Medication Errors in Saudi Arabian Hospitals. International Journal for Quality in Healthcare. Abdulkhaleq, S. M., Griffin, H. R., Gutierrez, M. (2018). Association Between The Organization And Environmental Factors And Work Injuries Among Home Health Care Nurses. LIFE: International Journal Of Health and Life Sciences. Russell, C., Gutierrez, M., Addison, C. C. (2008). Depression, Integration, and Personal Stories as Predictors of Adherence among Adults with Diabetes. Jackson State University Center for Excellence on Minority Health. Ross, L., Gutierrez, M. (2014). Migration and Abdominal Obesity among Hispanic Migrant Farm Workers. Gutierrez, M. (2010). Psychosocial Impact of Depression on Adherence to Diabetes Health Maintenance among African Americans. University of Mississippi Medical Center. Salam, A., Gutierrez, M. (2016). Impact of Work-Related Stress on Health Care Professional Medication Errors in Saudi Arabian Hospitals. Pope, Z., Gutierrez, M. (2018). Lived Experience of Medically Underserved African-American Patients with Uncontrolled Diabetes with Promising Patient-Centered Self-care Interventions .